What does teak cleaning in Los Angeles mean? The actual definition of teak cleaning may differ depending on who you ask. Teak furniture cleaning has two different meanings to our company as we have performed hundreds of teak cleaning projects throughout Los Angeles and all of Southern California. The first meaning of teak furniture cleaning is simply applying our process of removing dirt and mold that has discolored your teak furniture. Many of our clients in Los Angeles that want teak cleaning performed on their furniture prefer to have a raw unfinished natural look. For this aesthetic, our process consists of gently cleaning the teak furniture to remove black discoloration caused by mildew and soot. A wood brightening agent will be applied to the wood to promote color and prevent mold from developing on the wood’s surface. Your teak furniture can be left raw or a protective finish can be applied. Please note that simply cleaning teak furniture can leave the surface of the wood rough. The best way to smooth the teak wood’s surface is to sand. The second meaning of teak furniture cleaning involves keeping and promoting a gray or oxidized look. Many of our clients in Los Angeles prefer an oxidized or gray look for their furniture. Teak furniture left outside unprotected in the elements will naturally gray and oxidize in color. However, oxidizing evenly is almost impossible without proper care and maintenance. Teak furniture often develops mold and the grain will lift. 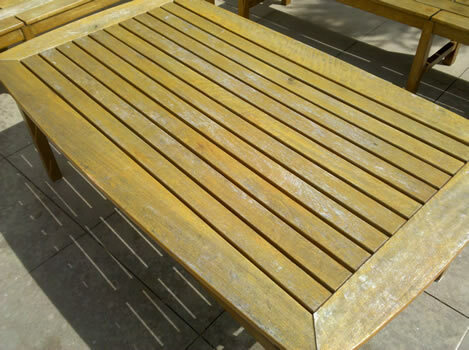 Our teak cleaning process removes mold and keeps the naturally oxidized look of your teak furniture. We offer free pickup and delivery or onsite service to all of Los Angeles, Orange County, and San Diego. Please visit our website at www.teakmaster.com for more information or call us today at 888 448-8325. 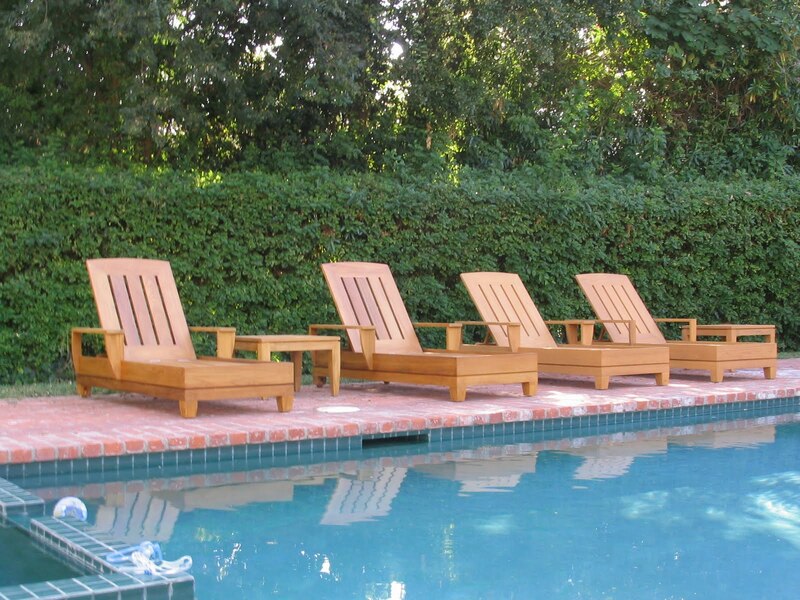 Teak refinishing in Los Angeles is exactly what Teak Master Inc. specializes in. If your teak furniture has weathered or has never been finished. It can certainly be refinished back to showroom condition. We begin our process by cleaning the wood to remove dirt and mold. The remaining oxidation will be sanded off once the wood is dry. Multiple levels of sanding will be performed to restore a smooth texture back to the wood. The wood will then be sealed with a marine grade coating to protect the teak wood from premature graying and help with food and water stains. Teak refinishing in Los Angeles can be a bit tricky. There are many areas that have different climates. The coastal cities of Malibu and Manhattan Beach have constant moisture in the morning mixed with salt air. There is also Pasadena and Calabasas that have extreme amounts of hot sun. Teak Master has serviced these areas in Los angeles for over 12 years and are skilled in addressing the different climates in each. 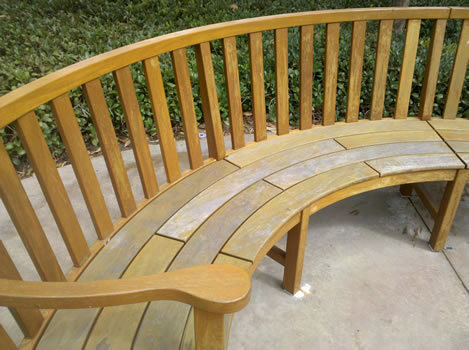 Give Teak Master a call to get your teak refinishing in Los Angeles performed. When it comes to choosing teak, you have two choices. Finished or natural. Teak furniture manufacturers are starting to have custom finishes available, and they are quite complementary to all types of decor. You may discover that you prefer to leave it natural once you learn about how teak is manufactured, and what makes it so distinctive. Environmental concerns may be right at the top of your list when it comes to choosing teak for your home. Teak is a very durable wood. It has proven that it can last over 100 years with care. Many choose to purchase teak furniture because they know that it will last for generations. The unfinished wood has a reputation for holding its own even outdoors. Learning about how it is manufactured may generate respect for the wood in its natural state, and you may just decide to leave it the way nature grew it. Teak is a hardwood. It thrives in dry, hilly areas in Southeast Asia, though many think that it comes from the tropical forests. The popularity of teak has risen faster than its manufacturers can supply it. So governmental controls exist to protect the luxury wood from over harvesting. Most furniture made of teak these days comes from teak tree farms. The countries that grow it truly wish to preserve it as a sustainable resource because of the social and economic value it brings to these places. Teak actually is energy efficient in its manufacturing process, and this helps local economies thrive. When a finished piece of furniture is discarded, the chemicals in the stain and finishes leach into the ground as it decays. But unfinished teak will decay naturally and not harm the earth at all. Manufacturers who have been creating teak furniture for years know this, and are pleased that their products come from the earth, sustain the earth, and give back to it. All teak scraps are generally used for something, no matter how small. Some will be used for parquet floors. Others will be used to fuel the kiln drying process for more teak products. But nothing goes to waste during manufacturing. Teak trees do not mature until nearly 40 years have passed. Growers must take care to harvest mature trees only. They select trees carefully, and then cut the trees to drain them of excess water. The special cutting technique allows the water to drain slowly without harming the wood. Once the teak trees are drained, they must be dried very slowly in a kiln. The slow and steady heat in the kiln allows the wood to dry very slowly over several months. Over time, the wood dries, and it compacts into very dense layers of wood. The dense, dry wood is rock hard and can withstand being in the weather and attacks from insects like termites. High quality teak furniture always uses joinery known as mortise and tenon. The joints are carefully glued together with waterproof adhesive designed to last a lifetime. The joints are crafted so carefully, that you can hardly notice them at all. Teak tree farms are protected by the countries that have them. Their governments work to protect the tree farms so that their people can work and the economy will be supported. Tree farms ensure that more trees are planted than are felled each year. Governing the use and cultivation of teak make certain that teak will be available long into the future. Once you realize how unique teak really is, you may decide to leave it unfinished. It certainly is beautiful as is. If you support the environment, then you may wish to support natural teak. But, having it custom finished is always an option open to you. The pieces last for generations, so the projected damage to landfills may not be an issue. Knowing more about teak will help you decide. Find out how to get Deck Restoration Laguna Beach done on your outdoor furniture by TeakMaster.com. Have a proffesional do your Wood Fence Restoration and enjoy the results. There are many reasons why teak furniture is the most popular and best choice for outdoor furniture. It has a timeless appeal to it and can be placed in any type of setting because it is made of a natural material. It comes in a wide array of styles to choose from including modern and contemporary designs to formal and traditional. It is impervious and will last forever with proper maintenance. The wood has a unique grain and has a beautiful rich honey color. This brings us to the topic of this article, keeping your teak investment in superior condition. When purchasing teak furniture a natural question seems to be “What is involved in terms of the care and maintenance”? Most manufacturers of teak furniture suggest their clients simply let the wood weather and it will age to a nice even silver patina. The high end retail outlets that sell teak furniture generally steer their clients into letting their furniture oxidize and most also provide some sort of product to maintain the color. Most people who purchase outdoor teak furniture are attracted to its natural color and prefer to keep their investment in the same showroom condition as purchased. They want to keep the natural rich honey color keep the grain smooth while protecting it from the weather. 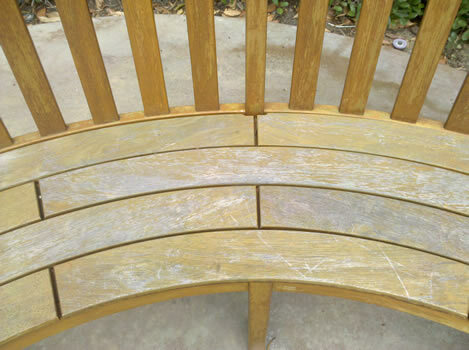 There are also many clients that want a natural weathered or patina look on their furniture. Whether a client desires to keep the natural honey look of their teak furniture or have a silver patina, they both require maintenance. There are many different products on the market that are made specifically for teak furniture. It is natural for questions to arise with the topic of finishing. Which product should a teak owner choose? How does one apply the products and what sort of prep if any do I need? Most importantly, “Who has the time to do this?” And the list goes on and on. It is entirely possible for a person who has purchased teak furniture to finish it themselves. However, there is another option. 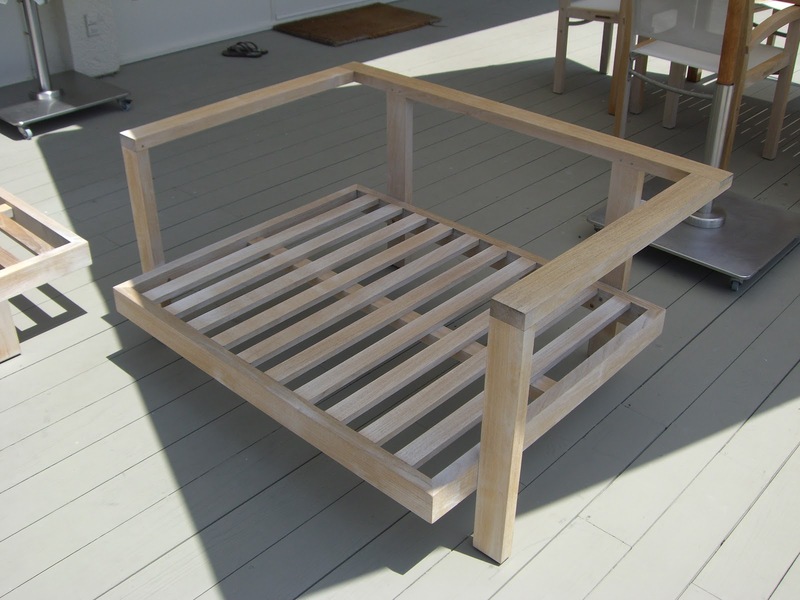 By having a professional service finish new teak furniture. Using a professional company to finish new teak furniture is the best option because it makes it easy for teak furniture owners to maintain their investment with relative ease. A professional company that specializes in finishing and performing teak restoration will know all of the finishes that are best for exterior use. They should also know how to properly restore weathered teak furniture. The key element is maintenance. Having a professional teak specialist care for your furniture will ensure it will be maintained for life. 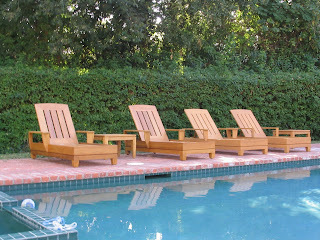 There is a company out of Los Angeles California that specializes in teak furniture care and maintenance. They are called Teak Master and have been finishing new teak furniture for thousands of clients throughout California, Nevada, and New Mexico. They are endorsed and recommended by major teak furniture manufacturers and high end retail patio furniture stores throughout California as certified experts in teak care, maintenance, and repair. They are also experts in performing teak refinishing and service to all exterior wood surfaces. Essentially, they have taken the guess work out of trying to maintain teak furniture or restoring teak furniture. The bottom line is that it is best to have a professional teak finishing service such as Teak Master maintain teak furniture. They have the experience, know the best products, and have the preparation and materials to perform the work fast and efficiently. They offer a maintenance program so that your furniture enjoys a long trouble free life. Teak Master Launches New Website! Teak master has launched a new redesigned website, created by SEO Services Los Angeles, Inc. Come visit our new site for the latest news and information on Teak Restoration.